Only companies shortlisted can enter these awards. Click here to view the shortlist. 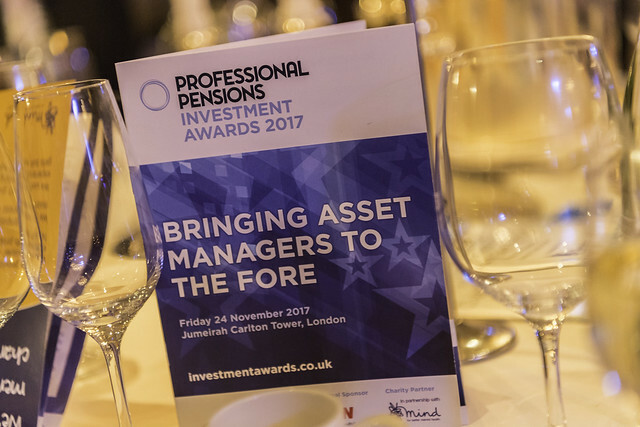 The Professional Pensions Investment Awards celebrate excellence among the asset managers who serve UK workplace pension schemes. The awards, now in their fifth year, recognise asset managers over a broad range of specialisms - and shine the spotlight on those whose achievements may not always be recognised by the more general UK Pensions Awards. The awards process is unique within the industry - with the shortlist being drawn up in association with Aon Hewitt, one of the leading investment consultants in the market, highlighting those asset managers who have demonstrated both excellent performance and relative growth in assets under management. Shortlisted entrants will then asked to complete an entry detailing how they differentiate themselves from their peers - detailing the product and client service innovations they have made over the 12 months to 30 June 2018. Deadline for entries is Friday 28 September. The winners in each category will then be decided by a distinguished panel of industry judges. How long to go until the awards?